Take the time to slow down and enjoy a Hampshire, Illinois bed and breakfast. Hampshire is located in the Chicagoland Region of Illinois and is a one-hour drive outside of the city itself. When choosing Hampshire, Illinois lodging, visitors will find themselves in a place that allows the opportunity to unwind from the stress of a fast-paced life. The area has several parks where visitors can enjoy many different recreational activities. A short trip outside of Hampshire will bring visitors to many unique area attractions. One of the most notable is the Frank Lloyd Wright Home and Studio. While here, visitors can tour the home that served as the testing ground for many of the architectural concepts seen throughout Wright’s work. Also nearby are all of Chicago’s attractions. The opportunities here are limitless, with something for every age. 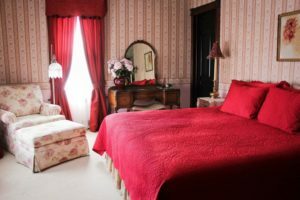 As you look into Hampshire, IL hotels, why not consider the unique alternative of a bed and breakfast? Let the Illinois Bed and Breakfast Association help you find the perfect fit for your time in Hampshire through one of our member inns.